Caveland i Santorini, Grekland : Boka nu! This hostel is so much more than "just a place to sleep". 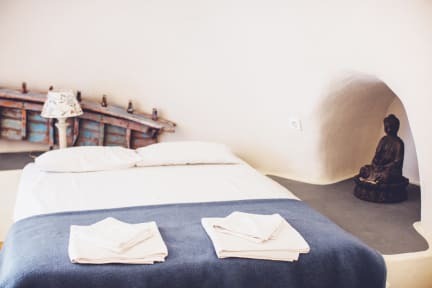 I've visit a lot of hostels and this is absolutely the best for that price. You can spend the hole day just in the hostel yard and by the pool because the atmosphere is so nice and cosy. The staff are the kindest and they also have two cute dogs running around in the yard. I guess the location might be a minus but I think it was nice to be a little outside of town. 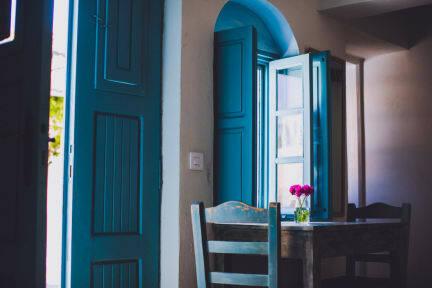 If you go to Santorini and looking for a hostel, stay here!